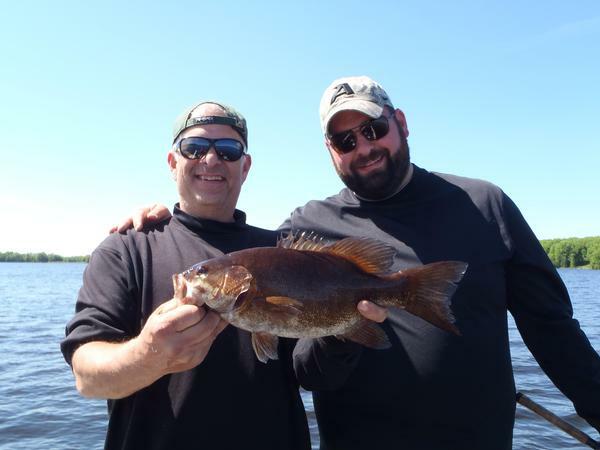 My customers have been mainly interested in walleye fishing however we did take some time two of the last three times out to pursue smallmouth bass, no one was disappointed. The bass are shallow, it is some exciting fishing, in my last report I mentioned the type of structure and depth. Two crank baits that we've used are a Rebel weeR and a Strike King KVD, I think any short stubby square bill crank bait about 2-1/2" in a crawfish color will catch fish. I've talked to some walleye fisherman who have told me they have been fishing areas where they did well at this time last year and aren't catching any fish, me too. Some of the 7-8' rock/ wood structure has been largely void of fish, we've been fishing a lot deeper then usual for this time of year. Although occasionally are catching some shallow fish. 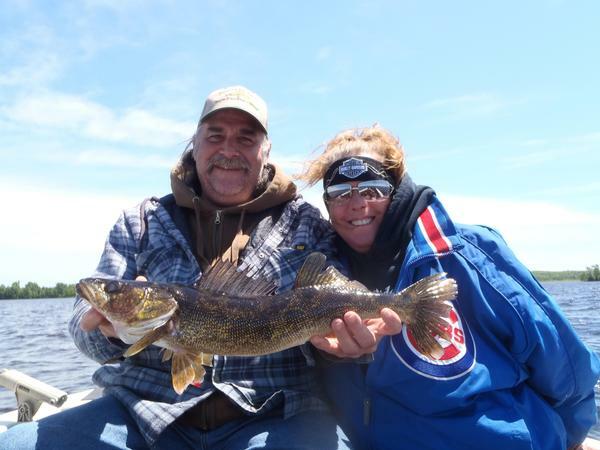 A common denominator in the fishing this year has been consistently catching good numbers of walleyes some days more fish then others some days bigger fish. 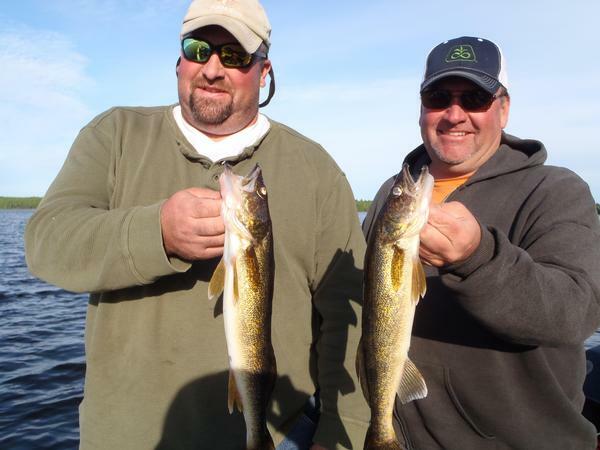 Today we had a nice catch of bigger walleyes I think the steady SW wind and nice chop made for a good bite. We did very well on some bigger fish in the 10-12' range which compared to a lot of days was pretty shallow. Thought I would post a few pics of some of the bigger walleyes and bass.